So I know cocktails aren't everybody's thing and to be honest I can't remember the last time I had one before this vacation. Something about cocktails just seem perfect while on vacation, but I never think about having one in my normal life. 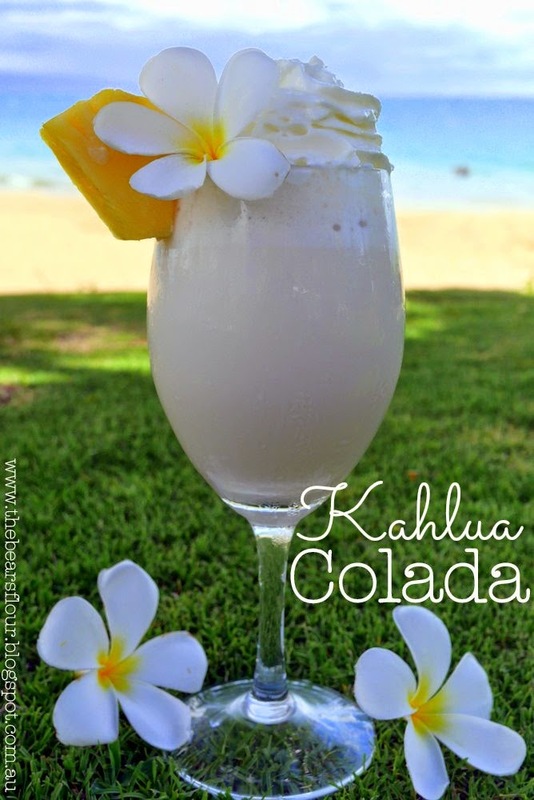 Usually I'll have a glass of wine a couple of times a week, but after making this Kahlua Colada, I might have to change things up and have a cocktail once in a while (maybe it will make me feel like I'm on vacation, if I close my eyes). Anyway, I got the idea for making this cocktail from my mother in law. The last time we were all in Hawaii for my wedding, she discovered Kahlua Coladas and loved them. So in honour of her, I decided to try and replicate what I remember them tasting like. After a bit of trial and error and making a couple virgin versions (for the little bears), I think I came up with a pretty close replica. Step 1: place ice, kahlua, liqueur, ice cream, juice and coconut cream into a blender. Blend on high until all of the ice has been broken down to a slushy consistency. Step 2: Pour the kahlua colada into a cocktail glass. For a virgin version use all the same ingredients but omit the kahlua and liqueur and add Torani's macadamia nut syrup. We've been enjoying our time escaping the Australian winter. 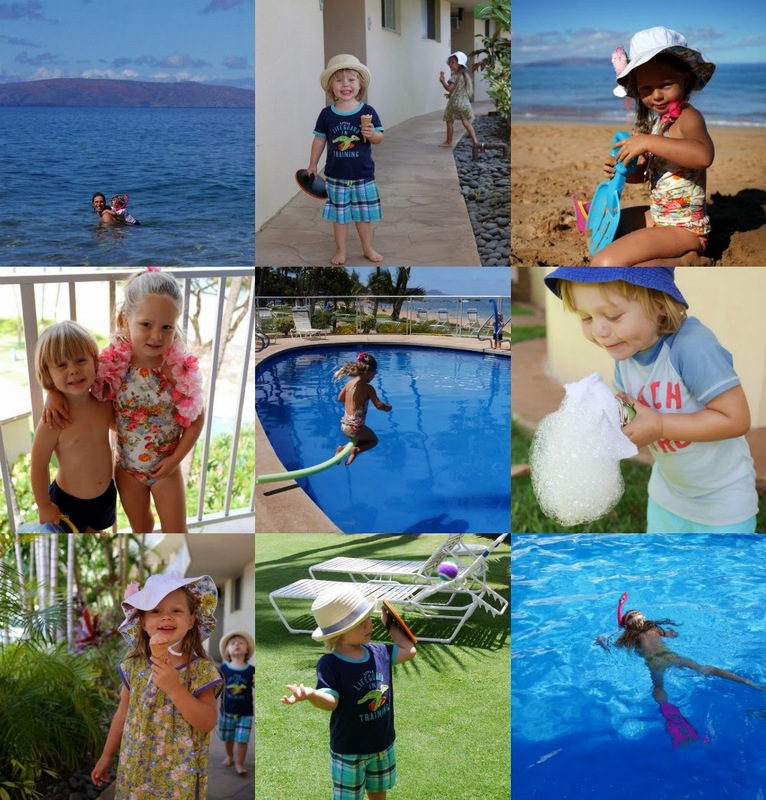 Beach, sun, ice cream, swimming, sand castles, snorkelling everyday...can't complain! I might post another update while still on vacation or I may leave it until we're back home. At least you won't have to wonder where the heck I've gone to.